Just before Christmas we arranged our 6th seminar on Exercise in Medicine in Trondheim. Over 100 scientists were gatered to present and discuss existing and future research projects within exercise in medicine. We want to thank all our guests for coming all the way to Trondheim to participate in the seminar. We had some interesting and inspiring days, and are looking forward to future collaborations. «A Journey to Hell and Back» is the name of the unsupported expedition to the South Pole and back, carried out by Justin Jones and James Castrission. 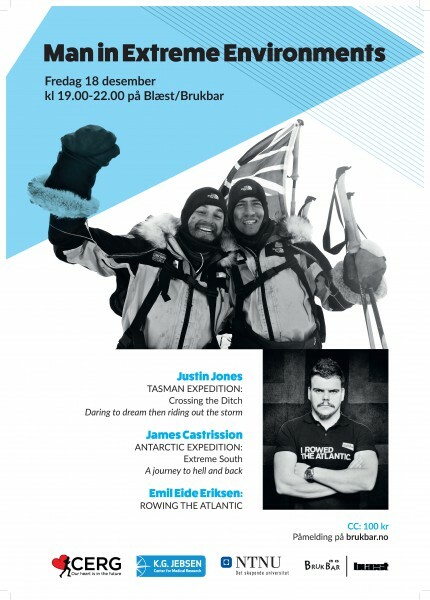 December 18th they told their breathtaking story during our event «Man in Extreme Environment» at Brukbar/Blæst in Trondheim. Who would believe that two guys from Australia would be the first persons ever managing this? It’s a saying that Norwegians are born with skis, but Australians for sure aren’t. They skied for the very first time 15 months before the expedition started. In fact, a Norwegian, Aleksander Gamme, could have beaten the Justin Jones and James Castrission, but he waited for the Australians three kilometers before the finish line, so they all could cross it together. Great sportsmanship from our own Aleksander Gamme. Emil Eide Erikssen was also on stage telling his story of rowing across the Atlantic Sea. An impressing story about two years of preparing, sore buttocks, courage, and battling the harsh sea. Three fantastic men on stage with impressive, entertaining and inspiring stories to tell, made this a great night to remember. Thank you Cas, Jones and Emil! Kjære alle eventyrlystne, ventetiden for ett nytt Man in Extreme Environments er snart over. Dette er tredje gang Man in Extreme Environments arrangeres og tidligere år har vi blitt trollbundet av fantastiske historier fra de store dyp til verdensrommet. Årets program er minst like unikt som tidligere utgaver og CERG har den store gleden å invitere alle til en storslått kveld på Brukbar/Blæst Fredag 18 desember kl 1900. Se bilder fra Man in Extreme Environments 2013 med Paul Rose, Børge Ousland og Christopher McDugall her! Vi trengte ikke gå lenger enn til Trondheim for å finne en som har gjort noe svært imponerende. I 2011 rodde han og en kamerat 5000km i 59 dager non stop, uten noen eksterne forsyninger, i en 6,9 meter lang robåt, tvers over Atlanterhavet. Sommerens vakreste eventyr er over, og i år kom vi i mål som nummer 53 totalt, fem plasseringer bedre enn i 2014. Det er fjerde året vi stiller lag så det er bare å glede seg til femårsjubileum i 2016. Vi er svært stolte over at vi er et lag med like mange damer som menn, og vi er det tredje beste rene bedriftslag. Tradisjonen tro blir vi slått av Trondheim Brannkorps og Politiet i Sør Trøndelag som imponerer hvert år. Tidligere har vi knivet med blant annet Klæbu 2, Budal og Søskenbarna Fuglem, og i år trakk de alle det lengste strået. Til neste år skal vi legge oss i rygg! Vi har dessverre ikke løpt i samme pulje som Kung Sture i år. Det håper vi at vi skal gjøre igjen til neste år sånn at vi får være med på livet de lager langs løypa. American College of Sports Medicine’s 62nd Annual Meeting, 6th World Congress on Exercise is Medicine® and World Congress on the Basic Science of Exercise Fatigue is held May 26-30, 2015 San Diego, California. This is the most comprehensive sports medicine and exercise science conference in the world with more than 6000 participants. It is a great pleasure to announce that ACSM has selected Linda Ernstsen from K.G. Jebsen Center of Exercise in Medicine as the 2015 ACSM Oded Bar-Or International Scholar Award recipient. The price allows Dr. Ernstsen to work with, and learn from, the world-leading expert in “Exercise Epidemiology” Professor Steven Blair at Departments of Exercise Science and Epidemiology and Biostatistics, Arnold School of Public Health, University of South Carolina, Columbia, USA, for 3 months. 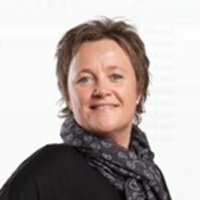 Currently she lives in South Carolina and have already started her work with Professor Blair and his research group where the aim is to learn new methodological approaches within epidemiological and clinical research on the association between physical fitness, mental health and cognitive function. On Friday May 29, she will be recognized and receive the price at the ACSM Awards Banquet. K.G. Jebsen Center of Exercise in Medicine is proud of Ernstsen´s achievement, wish her all the best of luck working at University of South Carolina, and look forward to get her back home with new knowledge that will benefit our research group. Communication and dissemination is an important part of the research chain. Unfortunately, scientists too often overlook communication with the general public, or tend to speak our ”tribal” language, making it hard to understand the implications of scientific results. Within the CERG group we work hard with this aspect, and try to reach out to the general public through several social media channels, user-friendly health and physical activity tools, media contributions, welcoming visitors to our lab, and attendance at both scientific and public events. Having many followers of our work humbles us, and we hope our effort in communicating the implications of our research is helping as many people as possible. 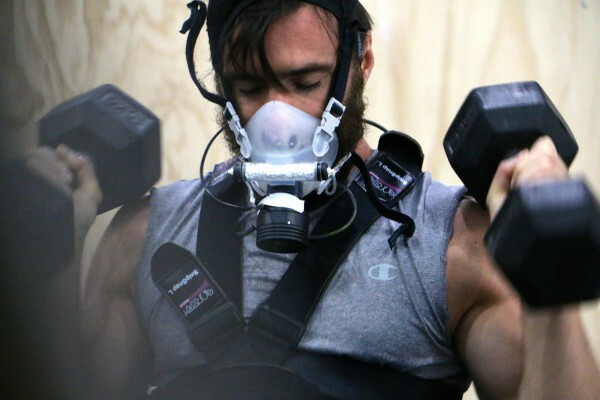 Last week we measured maximal oxygen uptake in several crossfit athletes at Crossfit Bondi. Below you can read about how their age corresponded with their fitness age. 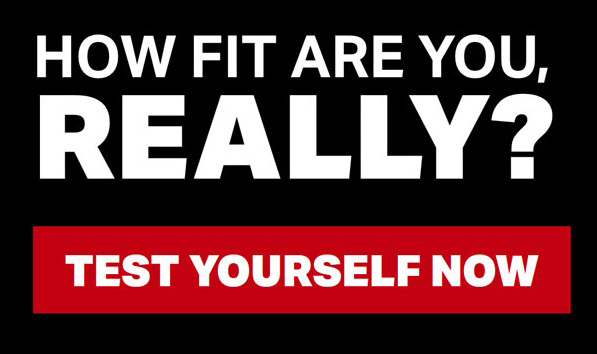 See video and pictures from the tests in this post: How fit are crossfitters? Cross fit is a workout method using a combination og endurance and strength exercise training, implementing the interval exercise principle quite a bit during training. 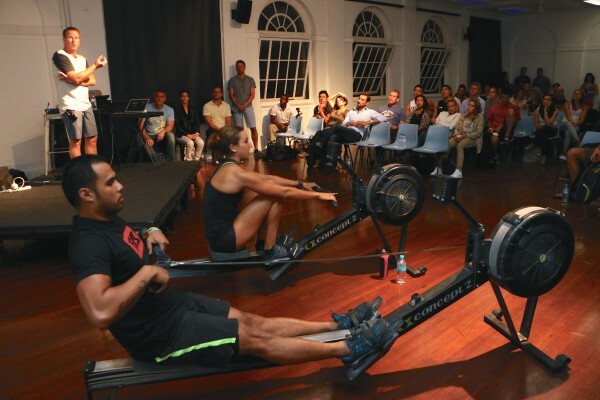 During the Bondi Fitness Festival Professor Ulrik Wisløff presented the results from the maximal oxygen uptake testing at Bondi Corssfit, together with a presentation of our main reserach focus and results, in addition to a demonstration of high intensity interval training performed by the two Crossfit Bondi members, Carlo and Cora. The men at Crossfit Bondi had an average maximal oxygen uptake of 50 mL/kg/min, and with a mean biological age of 33 years old, their fitness age corresponded to 24 years of age. The women at Crossfit Bondi had an average maximal oxygen uptake of 50 mL/kg/min as well, and with a mean biological age of 35, their fitness age corresponded to 18 years of age, making them relative more fit than the men tested. Find your fitness age by using our Fitness Calculator thet you can find here!